Well the conference has arrived, and here’s some footage they can use to promo next year’s conference. The chant reverberated through the halls of the Hilton Hotel in Chicago, as protesters eventually blocked access to attendees at a peaceful, all inclusive, religious Shabbat reception, held by A Wider Bridge (AWB) and to which Israeli LGBTQ guests had been invited. At the beginning of this week we received the shocking news that National LGBTQ Task Force, with mere days to the event, cancelled the AWB Jewish religious event to be held at the Conference. The Shabbat ceremony and reception was then moved by AWB to a different venue. However after an enormous outcry from many people in the LGBT community, including prominent LGBT community leaders and activists, Rea Carey apologized for what she called a “mistake” and the Task Force reinstated the event. That story can be read HERE. However, it seems that knowing protests were likely, Rea Carey and Creating Change failed to protect the Jewish participants and the protests led to bedlam. I am wondering if this protest was allowed to get out of control so that Carey could justify what she had stated in her initial excuse for cancelling the event? If it is true that Task Force had received threats that the event would be disrupted, then why was Task Force and Creating Change not prepared for what occurred? It is one thing to protest; it is another to call for the death of fellow LGBT Jews. It is one thing to proclaim a safe space for all; it another to allow it to be anything but a safe space for some. It is one thing to invite all voices; it is another to shut some down! The protesters were not interested in dialogue, because if they were, surely they would have allowed the Jews and their guests a peaceful Shabbat and then attended the forum Creating Change asserts it had established for people to discuss their views on the issues at hand. Or at the very least protested in a respectful manner. I am not going to get into the merits of any arguments for or against Israel. And I do have a lot to say about the bogus notion of “Pinkwashing.” I am going to reserve that for later. Because the bottom line of what occurred is in that one chant – which says it all. 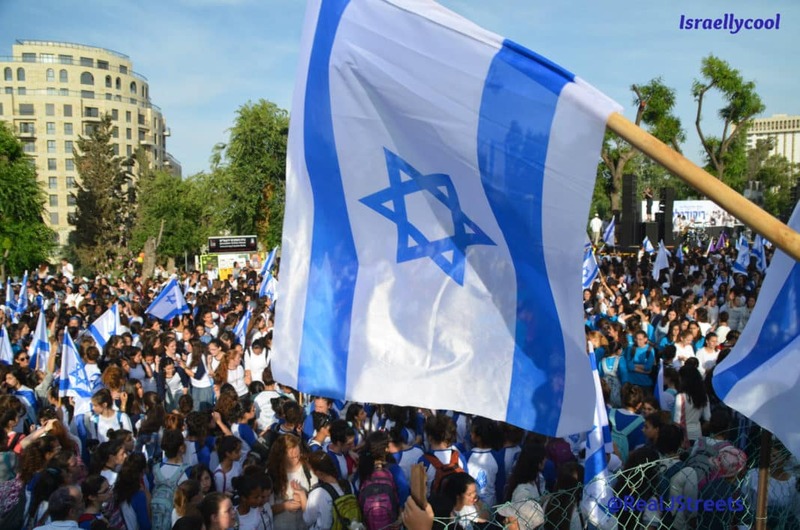 I will say that from the chants and behavior of the protesters, all possible accusations against Israel fall by the wayside, when the chants call for the destruction of Israel and in effect all Jews. And that is what those protesters did, evidenced by the video at hand. It was clear they were not interested in the all inclusive dialogue to which they had been invited. It was also clear that their purpose was not only to disrupt the event, but also to make it known that they did not believe the State of Israel should exist at all and that all Jews should be driven into the sea. I imagine they are clever enough to realize that includes tens of thousands of LGBTQI Jews in Israel including many Jews of color, and Palestinians and Arab LGBTI in Israel too. Read the entire article, which includes more photos of the protesters. A sad day for LGBTQ people indeed. But not as sad as the day if they get their wish and “Palestine” will take over the entire land of Israel. Update: More footage of the protest here.